AIESEC +++ AFS +++ The Foreigner Podcast +++ exchanges +++ Absolutely Intercultural 220 +++ – absolutely intercultural! 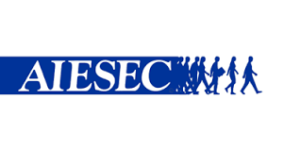 AIESEC is spelled AIESEC and though it originally stood for Association Internationale des Étudiants en Sciences Économiques et Commerciales in French it is now just the word to describe what was originally a student exchange organisation. Let’s go absolutely AIESEC and hear more about it from the current AIESEC president in Aarhus, Denmark, Ave Nurmeots who is in Aarhus to study entrepreneurship and innovation and is originally from Estonia. 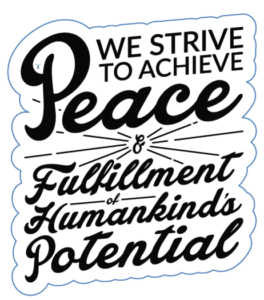 So if you are under 30 almost anywhere in the world you could get yourself a paid internship through AIESEC. Here on Absolutely Intercultural we do talk a lot about student exchanges especially under the European Erasmus+ programme but as we have seen with AIESEC, Erasmus is not the only game in town regarding student exchange and we were delighted when Andre Guenther got in touch offering to share his experiences as an exchange student in an American High School. So let’s go absolutely high and hear more about how that came about and how it went. If you would like to know more, Andre has started his own podcast called The Foreigner Podcast to try and encourage more high school students to take advantage of the opportunity with AFS, the organisation that organised his trip and that he is now volunteering for. As well as this website we also have a Facebook page of the same name. Subscribe to the page to be the first to know when a new show is ready, to add comments, to suggest ideas for upcoming shows and to see the links we post most weekdays that have intercultural interest. You can also subscribe to the podcast on iTunes. The next show will be coming to you from Germany with Laurent Borgmann on December 1 so stay tuned!